So in our Formula 7 course, we advise to not set a goal of more than 5 pounds. And not because it’s a game or a trick, but because it’s REAL. 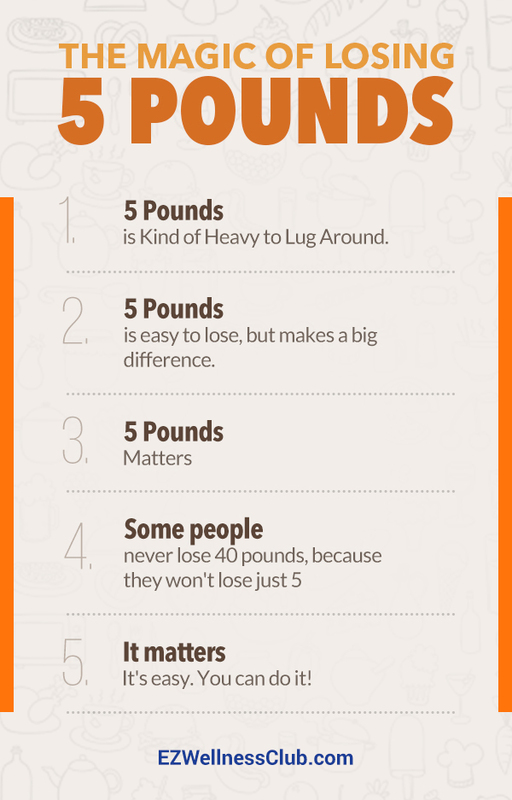 Losing 5 pounds is do-able! It’s believable, it doesn’t take years, and it really does make a difference. So, if weight loss is a goal you have, forget about the long term goal, and set a serious goal just to lose 5 pounds! It’s easy, you can do it, and it matters.